Frodon recorded a fourth victory at Cheltenham with another tremendous front-running performance to set up a tilt at the G1 Magners Cheltenham Gold Cup. Terrefort (Nicky Henderson/Daryl Jacob) briefly looked set to challenge nearing the las, but Frodon found more in front to win gamely by three quarters of a length from 2/1 favourite Elegant Escape (Colin Tizzard/Tom O'Brien), who stayed on well after looking outpaced at the top of the hill. The BetBright Cup Chase was first run in 1980 as the Tote Double Chase with a total prize fund of £5,215. The race was abandoned in 1987, 1992 (frost), 1996 (frost and snow) and 2006 (frost - a replacement was run at Wincanton the following Thursday). The contest has had nine sponsors since inception: Tote Double Chase (1980-84), Holsten Distributions Chase (1985-87), Charterhouse Mercantile Chase (1988-92), Timeform Hall of Fame Chase (1993-94), Pillar Property Investments Chase (1995-2005), HBLB Cotswold Chase (2006), Letheby & Christopher Chase (2007-09) and Argento (2010-2014). 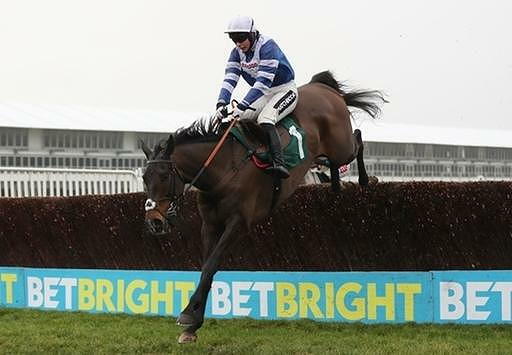 BetBright sponsored for the first time in 2015. Paul Nicholls has recorded four victories so far, through See More Business (1998 & 2001), Taranis (2010) and Neptune Collonges (2011).